News just came in minutes ago that Yahoo! has declined to move forward with the Alibaba spinoff, and will instead examine a spinoff of its core Internet business, CNBC reported citing anonymous sources. Marissa Mayer has realized that she can’t effectively turn Yahoo! around. Mayer is prepared to leave Yahoo! If Mayer gets canned due to a sale, she’ll receive a severance package worth nearly $160 million (!!!). However, if Mayer can’t secure a sale and the board decides to fire her anyway (which is very unlikely, given that she handpicked the board), she’ll instead receive a relatively tiny severance package of ~$36 million. Mayer does not think that she can that can avoid the massive tax on the Alibaba spinoff (analysts have pegged the figure at $12 billion, if Yahoo were to distribute the Alibaba shares to each of its existing shareholders). Mayer does not believe that, for one reason or another, she can win the fight against Starboard’s Jeff Smith (just a few days ago, Mayer was telling people around her that it’s unlikely she’ll sell Yahoo!’s core business, according to superstar Yahoo! reporter Kara Swisher). Silver Lake Partners (P.E.) is not interested in the deal. KKR & Co. LLP (P.E.) is not interested in the deal. TPG Capital (P.E.) has sniffed around and made contact with the team at Yahoo!, but nothing concrete has come out of the “soft” discussions (this may change soon!). Kara Swisher believes that TPG is the most serious, “though none are far down any path to buy all (or even part) of Yahoo! Apollo Global Management (P.E.) like TPG Capital, it has shown some interest and made contact with Yahoo! executives, but nothing concrete yet from the “soft” discussions. Barry Diller’s InterActive Corp (business) has showed moderate interest, but is unlikely to have enough money (would also be an unwise decision, given that IAC just IPO’ed). Comcast has sniffed around, but left the table without any intent on pursuing a deal. Tencent is reportedly also interested, but it would be an incredibly hard deal to seal for a plethora of reasons (including taxes and international trade regulations), given that Tencent is incorporated in China. Rupert Murdoch is quite evidently interested in a deal (the WSJ has been publishing reports after reports that imply Yahoo! should sell its core business despite weak and often misleading sources — the most egregious example is a report published that Alibaba is not interested in Yahoo!’s core business… when no one said that Alibaba was in the first place; make of that what you will), although how he can or will finance the deal remains to be seen (highly unlikely). Out of all the PE shops and companies that have sniffed around, Verizon appears to be the most serious candidate, and its executives have met with some of Mayer’s close associates. Verizon’s CEO Lowell McAdam also said, earlier today at Business Insider’s Ignition Conference, that the company would be interested in purchasing parts or the whole of Yahoo!’s core business if it goes up on the auction block. Most people undervalue Yahoo!’s core business (it’s almost like a cool thing to do now). Yahoo! current market value is $32.9 billion (as of publication). Some analysts believe that once you subtract what Yahoo! owns (a stake in Alibaba worth $32.4 billion and a stake in Yahoo! Japan, a completely independent entity, worth $8.7 billion, ~$1.3 billion cash, $5.5 billion in securities and $1.2 billion in debt), the core business is worth less than zero. This cannot be further from the truth. Yahoo!’s core business, which is comprised of the website properties, apps and digital adstack it owns, must be worth something, right? But how much? If hedge fund Starboard Value’s estimations turn out to be right (and there’s no reason to believe otherwise), then once the taxes are taken in account, the Alibaba shares’ true value to Yahoo! shareholders is closer to $19.6 billion, and the tax-adjusted value of Yahoo! Japan is $5.3 billion. Therefore, Yahoo!’s core business is actually worth north of $2 billion (it is, however, very unlikely that Yahoo! will sell its core business for a mere $2 billion. People in the industry say the figure will most likely be somewhere around $6 billion). How can Yahoo! command a ~$6 billion price tag on its core business? Because it’s a sleeping giant. Despite having not grown in years, Yahoo!’s core business was still able to produce $4.3 billion in revenue in the last 12 months (that’s a lot more than what other companies — a lot of which are darlings in the eyes of the media and investors — can say). The only reason why Yahoo! is valued less than its competitors is because investors are not optimistic about Yahoo!’s future… a sentiment that can be changed with a legitimate restructuring plan initiated post-sale. ComScore pegs Yahoo!’s global audience at 618 million, thus making it the fourthlargest company in terms of reach, just behind Google, Microsoft and Facebook.Despite being criticized just about daily by the media and investors, Yahoo! is still the third biggest destination in the United States, just behind Google and Facebook (something you wouldn’t expect if you only read the news!). Yahoo! is in no rush. Despite consistently declining revenues, Yahoo! has an EBITA $832 billion (2.6x forward earnings). Comparatively, when Tim Armstrong sold AOL to Verizon earlier this year, Verizon purchased AOL 8.5x its projected 2015 EBITA earnings. This alone should give Yahoo! some negotiating leverage. Despite what some may believe, Yahoo! (given how much cash and other assets it has) can negotiate from a position of strength. Yahoo!’s core business can be spun out into an entirely different company, one that is independent from the management running the Yahoo! that is a shell for the Alibaba spinoffs. But in any event, I expect Mayer to leave with her severance package intact post-spinoff and sale. Mayer really cares about her image (who doesn’t?). The fact that she, the glamorized Google executive, had failed in her job to turn the company around will always be a sticking point for her. But! She can still salvage her reputation if she negotiates a more than fair price for Yahoo!’s core business in the event of a sale. The tech world is filled with people who refused to sell their companies when it was worth something, and then regretting it later (BlackBerry being the prime example). 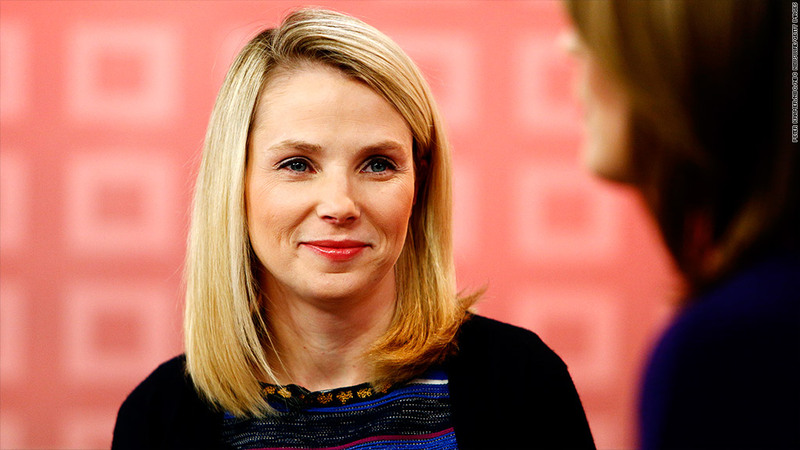 If Mayer can shock the world with how much she can sell the perceptually worthless Yahoo! core business, she can save her legacy at the same time. No one’s going to remember about the sale a few years after, when Yahoo! has been dismembered, but everyone will remember Mayer for the success of the sale.